I had the following parts today. 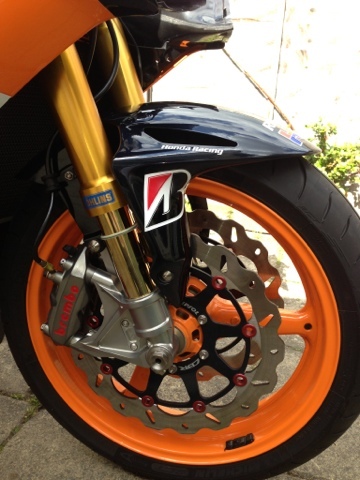 My Ohlins FGRT813 forks, Brembo's M4 calipers, black 2011 Repsol clock cover, carbon clock bracket, Harris clipons and R&G bar ends. 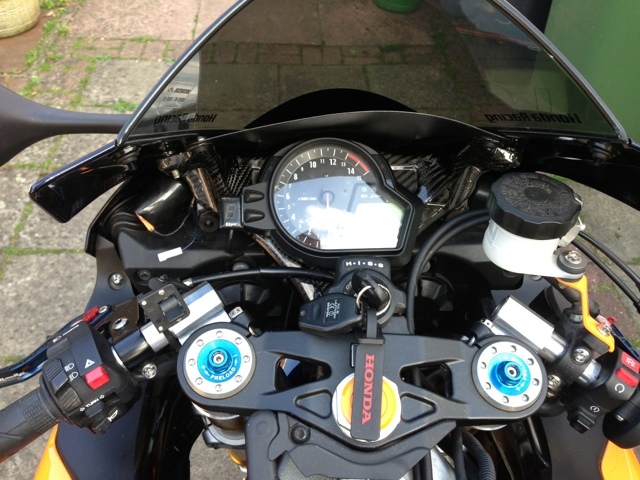 Can I ask where you got the front right p-clip from to hold the brake line in place please? And a part number if possible? Just read your blog and your blade is inspiring!